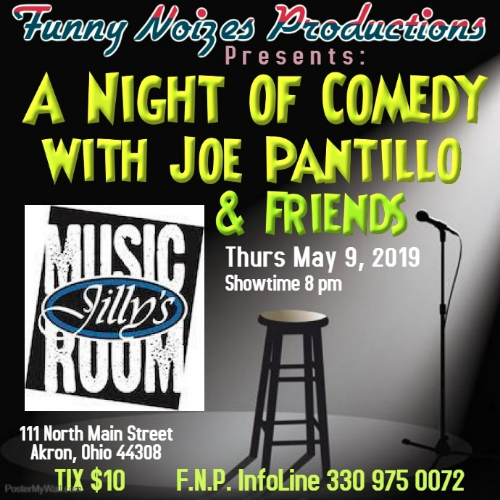 ​Funny Noizes Productions is pleased to present one of the funniest and fastest-rising stars in stand-up comedy today when it presents A NIGHT OF COMEDY WITH JOE PONTILLO & FRIENDS on Thursday, May 9th at 8:00 PM at Jilly's Music Room. Joe Pontillo was born ages ago and has been doing comedy for even longer. He has appeared on AXS TV's 'Gotham Comedy Live', MTV's 'The Middle Of The Night Show' and currently has a special on Amazon titled 'Delete Your Account' which came out in 2018. His jokes have appeared in Newsday, Timeout NY, The New York Times, and in the Washington Post. He has written and produced two films 'Street Of The Dead' and 'Hank Is Evil'. Leslie Battle is a Texas native who began her comedy career after an ‘uncivilized’ divorce. She has performed since July 2011,on stages throughout the Midwest and beyond. In May 2015, she won the title of Columbus (Ohio's) Funniest Person in the Funnybone Talent Search. In July 2015, she won the Crackers Comedy Club Open Mic Contest in Indianapolis, IN. She began her Army career as an active duty medical laboratory technician (92B), a role she fulfilled for 13 years. After transferring to the Ohio National Guard, she went back to college, earned her bachelor's degree and earned a commission as a Communications Officer in 2006. During her military career, she was stationed in Ft Lewis, WA, Ft Knox, KY, Heidelberg, Germany and Camp Arifjan, Kuwait (to name a few). She retired in January 2015, after 26 total years of military service (13 active, 13 Ohio National Guard). Mother of 3 young adults, her humor includes stories from her life as a soldier, mom, and divorcee’ as well as observations about American Pop Culture. Leslie offers a unique perspective and says things that other people think fairly regularly, but aren’t quite comfortable with saying. "No. I stepped into it." 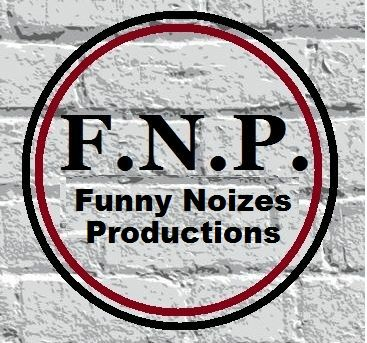 and introducing Braylon Copeny, a 16 year old up and coming stand up comedian from Flint, Michigan. If you like Chris Rock you're going to love this kid. He uses teenage issues, video games, and social media habits to create a hilarious set of jokes.